With the formation and dissemination of the concept of sustainable consumption, consumers are paying more and more attention to consumer ethics in the process of consumption. This leads to “speaking a set and making a set”, that is, the situation in which the willingness to consume is in-consistent with the actual purchase behavior. This study combs the relevant results of the con-sumer’s “willing-behavior” gap research, explores the main possible influencing factors of the ex-isting research, and sorts out the theoretical explanations that may be involved in the latest re-search. 吴波, 李东进. 伦理消费研究述评与展望[J]. 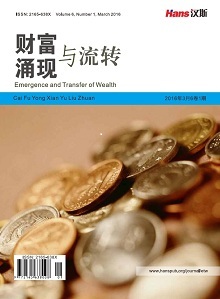 外国经济与管理, 2014, 36(3): 20-28. Ajzen, I. (1991) The The-ory of Planned Behavior. Research in Nursing & Health, 14, 137. Carrigan, M. and Attalla, A. (2001) The Myth of the Ethical Con-sumer—Do Ethics Matter in Purchase Behaviour? Journal of Consumer Marketing, 18, 560-578. Shaw, D., Shiu, E., Hassan, L., et al. (2007) Intending to Be Ethical: An Examination of Consumer Choice in Sweatshop Avoidance. Advances in Consumer Research, 34, 31-38. Carrington, M.J., Neville, B.A. and Whitwell, G.J. (2010) Why Ethical Consumers Don’t Walk Their Talk: Towards a Framework for Understanding the Gap between the Ethical Purchase Intentions and Actual Buying Behaviour of Ethically Minded Consumers. Journal of Business Ethics, 97, 139-158. Vermeir, I. and Verbeke, W. (2008) Sustainable Food Consump-tion among Young Adults in Belgium: Theory of Planned Behaviour and the Role of Confidence and Values. Ecological Economics, 64, 542-553. Chatzidakis, A., Hibbert, S. and Smith, A.P. (2007) Why People Don’t Take Their Concerns about Fair Trade to the Supermarket: The Role of Neutralisation. Journal of Business Ethics, 74, 89-100. Auger, P. and Devinney, T.M. (2007) Do What Consumers Say Matter? The Misalignment of Preferences with Unconstrained Ethical Intentions. Journal of Business Ethics, 76, 361-383. Belk, R.W., Devinney, T. and Eckhardt, G. (2005) Consumer Ethics across Cultures. Consumption Markets & Culture, 8, 275-289. Grimmer, M. and Miles, M.P. (2017) With the Best of Intentions: A Large Sample Test of the Intention-Behaviour Gap in Pro-Environmental Consumer Behaviour. International Journal of Consumer Studies, 41, 2-10. Carrington, M.J., Neville, B.A. and Whitwell, G.J. (2014) Lost in Trans-lation: Exploring the Ethical Consumer Intention-Behavior Gap. Journal of Business Research, 67, 2759-2767. Hassan, L.M., Shiu, E. and Shaw, D. (2016) Who Says There Is an Intention-Behaviour Gap? Assessing the Empirical Evidence of an Intention-Behaviour Gap in Ethical Consumption. Journal of Business Ethics, 136, 219-236. 邓新明. 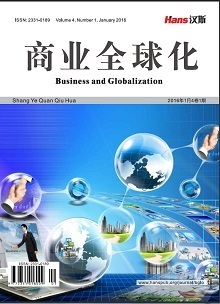 消费者为何喜欢“说一套, 做一套”——消费者伦理购买“意向–行为”差距的影响因素[J]. 心理学报, 2014(7): 1014-1031. 孙剑, 李锦锦, 杨晓茹. 消费者为何言行不一: 绿色消费行为阻碍因素探究[J]. 华中农业大学学报(社会科学版), 2015(5): 72-82. 何志毅, 杨少琼. 对绿色消费者生活方式特征的研究[J]. 南开管理评论, 2004, 7(3): 4-10. Fotopoulos, C. and Krystallis, A. (2002) Purchasing Motives and Profile of the Greek Organic Consumer: A Countrywide Survey. British Food Journal, 104, 730-765. Roberts, J.A. (2006) Green Consumers in the 1990s: Profile and Implications for Advertising. Journal of Business Research, 36, 217-231. Samantaray, A. (2012) Reevaluating Green Marketing: A Strategic Approach. Business Horizons, 44, 21-30. 尹世久, 徐迎军, 陈默. 消费者有机食品购买决策行为与影响因素研究[J]. 中国人口资源与环境, 2013, 23(7): 136-141. Yadav, R. and Pathak, G.S. (2017) Determinants of Consumers’ Green Purchase Behavior in a Developing Nation: Applying and Extending the Theory of Planned Behavior. Ecological Economics, 134, 114-122. Johnstone, L. and Lindh, C. (2018) The Sustainability-Age Dilemma: A Theory of (Un)planned Behaviour via Influencers. Journal of Consumer Behaviour, 17, E127-E139. Eckert, C., Davis, S. and Burke, P.F. (2014) Segmenting Consumers’ Rea-sons for and against Ethical Consumption. European Journal of Marketing, 48, 2237-2261. Auger, P., Burke, P., Devinney, T.M., et al. (2003) What Will Consumers Pay for Social Product Features. Journal of Business Ethics, 42, 281-304. Bakshy, Eytan, Hofman, et al. (2011) Everyone’s an Influencer: Quantifying Influence on Twitter. 65-74. Godes, D. and Mayzlin, D. (2004) Using Online Conversations to Study Word-of-Mouth Communication. Social Science Electronic Publishing, 23, 545-560. Li, Y.M., Lai, C.Y. and Chen, C.W. (2011) Discovering Influencers for Marketing in the Blogosphere. Elsevier Science Inc., 5143-5157. Park, C.W. and Lessig, V.P. (1977) Students and Housewives: Differences in Susceptibility to Reference Group Influence. Journal of Consumer Research, 4, 102-110. Hayakawa, H. and Venieris, Y. (2016) Consumer Interdependence via Reference Groups. Springer, Berlin, 599-615. Ramsza, M. (2015) Market Choices Driven by Reference Groups. An Evolutionary Approach. Journal of Evolutionary Economics, 25, 611-622. 孙怡, 鲁耀斌, 魏国基. 社交氛围对朋友群组成员的购买意愿和行为的影响[J]. 管理学报, 2016, 13(9): 1392-1399. 宫秀双, 徐磊, 李志兰, 等. 参照群体影响类型与居民消费意愿的关系研究[J]. 管理学报, 2017(12): 1829-1839. 陈春梅, 黄旭, 段桂敏. 参照群体的概念、作用方式及其对品牌资产的影响机制研究[J]. 学术论坛, 2015, 38(11): 58-63. 庄家炽. 参照群体理论评述[J]. 社会发展研究, 2016(3): 184-197. 姜凌, 王磊. 消费者产品购买决策中不同类型参照群体影响力比较研究[J]. 华东经济管理, 2010, 24(6): 112-115. Bearden, W.O. and Etzel, M.J. (1982) Reference Group Influence on Product and Brand Purchase Decisions. Journal of Consumer Research, 9, 183-194. 杨昆, 张梦, 姬梅. 生态旅游方式下的参照群体影响力研究[J]. 生态经济(中文版), 2014, 30(11): 107-109. Amaldoss, W. and Jain, S. (2016) Reference Groups and Product Line Decisions: An Experimental In-vestigation of Limited Editions and Product Proliferation. Management Science, 56, 621-644. O’cass, A. and Mcewen, H. (2014) Exploring Consumer Status and Conspicuous Consumption. Journal of Consumer Behaviour, 4, 25-39.